Is your computer throwing “Critical_Process_Died” error message on a blue screen Windows? If YES, then you are at the right place. Here in this blog, we will discuss all about “Critical_Process_Died” Blue Screen of death error. This error message appears with the error code 0x000000EF, this error code means that a critical system process in your computer died. This critical process can affect the system hardware such as hard disk drive, system memory, system processor etc. Critical Process Died error generally appears when a critical system process died with an error code – 0x000000EF or blue screen error. 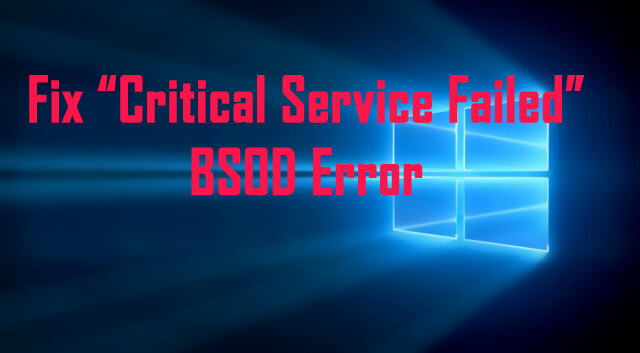 Once a critical system process fails to run it crashes the operating system with a Critical Process Died Stop Error 0x000000EF or Blue Screen appeared on Windows PC/Laptop. “CRITICAL_SERVICE_FAILED” appears and the active program window crashes. “STOP error 0x5A: CRITICAL_SERVICE_FAILED” is displayed. Your PC often crashes with error 0x5A if you run the same program. “The CRITICAL_SERVICE_FAILED bug check has a value of 0x0000005A.” Is displayed. Windows is slow and slow to respond to the mouse or keyboard. Your computer hangs up regularly for a few seconds. In order to verify system files, there are mainly two options first one is using SFC command and the second one is via DISM. We will try both of these options to verify and fix the system files. First, you need to open the command prompt with administrator privilege. 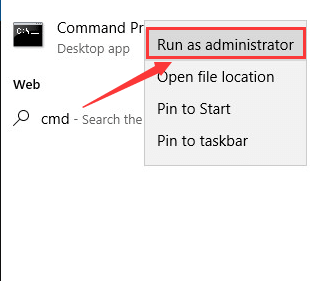 To do this, press the Windows logo key -> type in cmd -> Right-click Command Prompt and click Run as administrator. 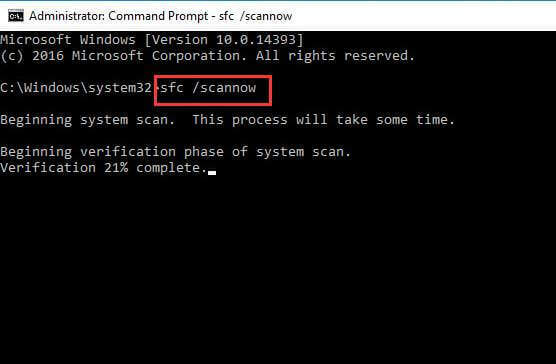 After opening command prompt, now you need to run the SFC command. To do this, type sfc /scannow and hit Enter key. This command will take few minutes to complete this process. After the completion of this command, reboot your computer. 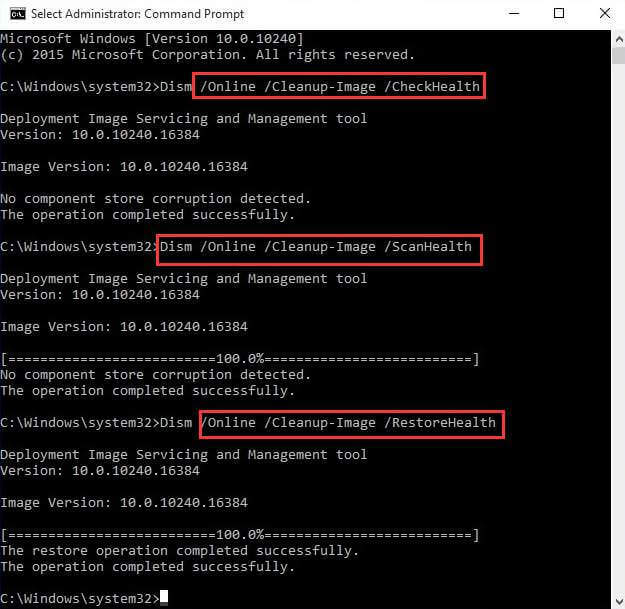 DISM or Deployment Image Servicing and Management is the tool that specially designed to check the system files and fixes the blue screen of death error. Again open the command prompt with admin privilege – Press the Windows logo key -> type in cmd -> Right-click Command Prompt and click Run as administrator. In the Command Prompt, type the below-given command one by one. NOTE: Press Enter key after each command. After the completion of this command, reboot your computer. An outdated system’s drivers can affect the performance of any computer or laptop and may trigger Critical process died issue. That’s why it is recommended to update and repair all the system drivers as soon as possible. Click on the Start button -> type Device Manager and choose it from the results. Click on the category to expand it and find the name of your device, after it right-click on it, and choose Update Driver. For example, if you want to update graphics cards, then click on the Display adapters category to expand it. And to update the driver, right click on your graphics card and choose Update Driver. Sometimes Windows gets unable to find the new driver, in this case, you should visit the device manufacturer’s official website and download the update. NOTE: If you are unable to update the system drivers after applying the above steps then try to reinstall the driver. To do this, open the Device Manager -> right-click on the name of the device and choose Uninstall. At last, reboot your PC and Windows system will attempt to reinstall the driver. If you are new to your system or unable to apply the above-given steps to update system drivers then you should apply a professional SYSTEM DRIVER UPDATER TOOL. This is the software through which you can easily update and repair all of your system drivers. Download, install and run this software on your system. This will automatically update all of the outdated system drivers. It is a very effective tool and will also fix several other system issues like DLL errors, registry issue, slow system and more. 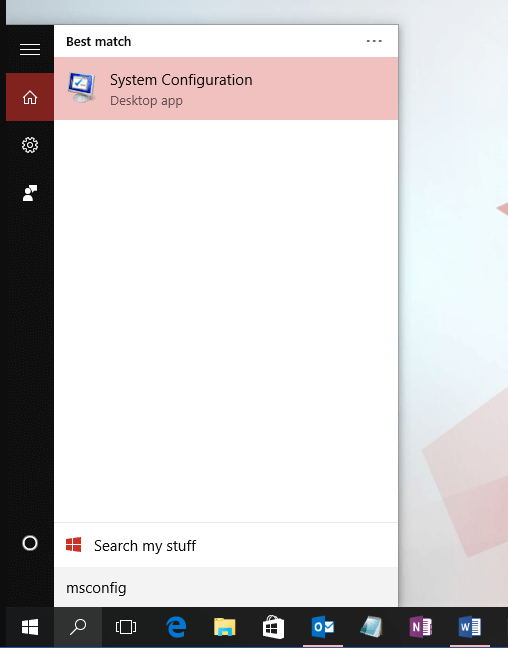 First, you need to open the run dialogue box (Press “Windows + R“) after opening the run box type msconfig in it and click OK.
After it, on the General tab, click on the Selective startup. Choose the Hide all Microsoft services check box present at the bottom. Click on the Open Task Manager. Now, on the Startup tab, right-click on each enabled startup item and choose Disable. At last, click on the OK and Restart. Again open the run dialogue box (press “Windows + R”), in the run dialogue box type msconfig and click OK.
Now, on the General tab, choose Normal startup. Click on the Services tab and unmark the Hide all Microsoft services check box. 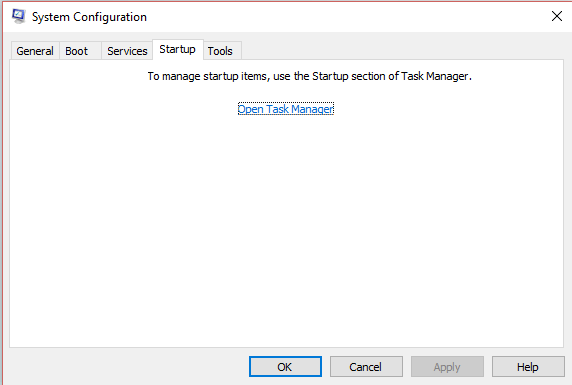 After it, click on the Open Task Manager and turn on all of your startup programs. At last, click OK and Restart. 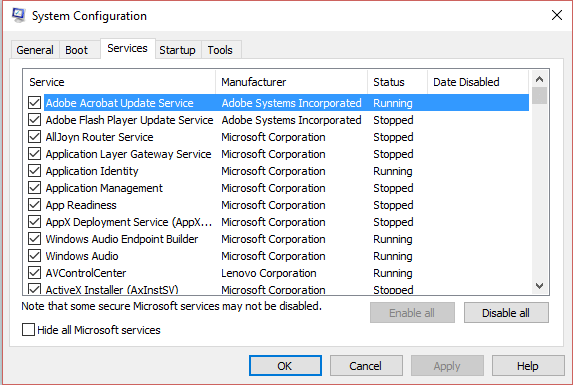 NOTE: Make sure that “Enable all” Microsoft services after completion of troubleshooting, and re-enable all the programs in the Startup tab. This is to avoid the loss of some OS functions and applications. 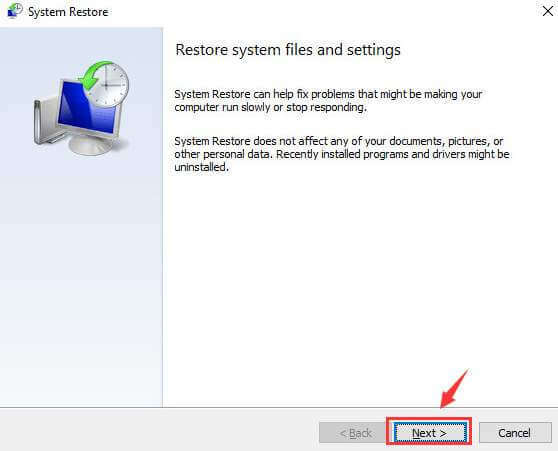 Restoring system will help you to fix your PC and make them normal. Open the control panel, to do this click on the Start button and then choose Control Panel. 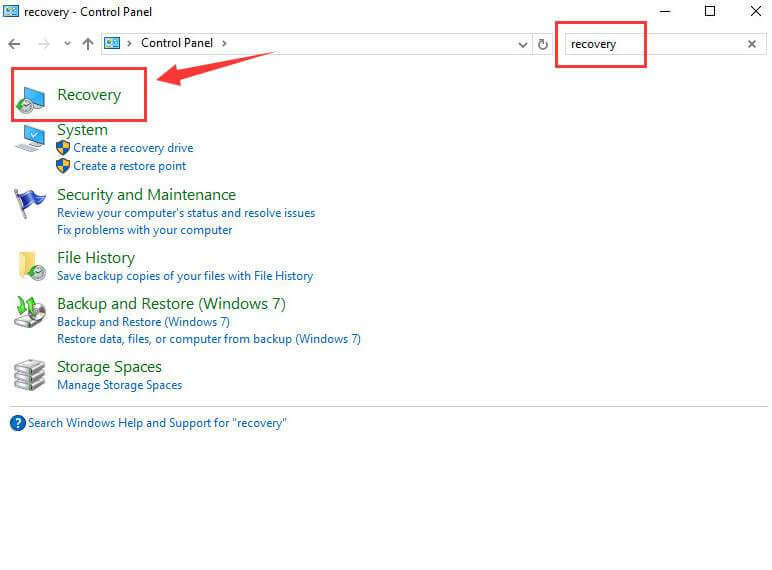 Now, press Ctrl + F keys to open the search option and search for the “recovery”. Select the Recovery from the search result. 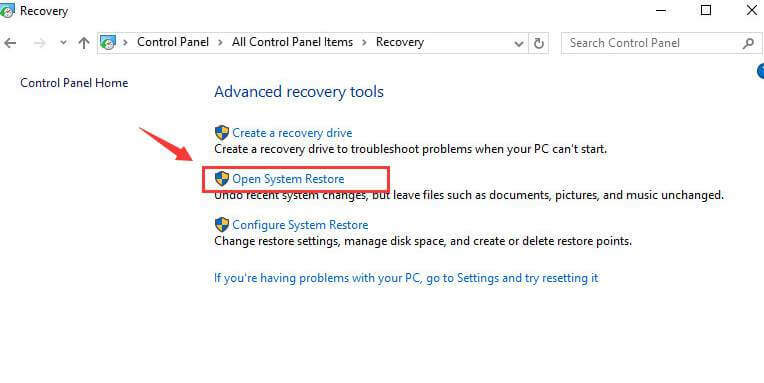 After it, select Open System Restore and then click on the Next to continue. 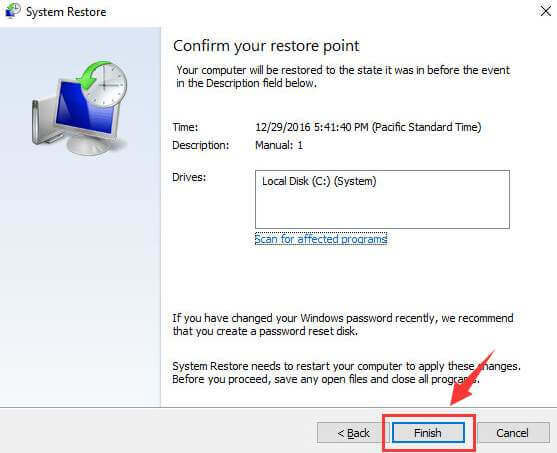 Now, you need to choose one from restore point from the list of the available restore point. Select the Restore point and press Next. At last click on the Finish to continue. When you see the following notification then click on the Yes to confirm. All the above-discussed solutions are effective and allow you to deal with the “Critical_Process_Died” Blue Screen of death error. So apply the given fixes one by one and it will help you to make your PC error free. After fixing this issue, it is suggested to scan your PC with a professional PC repair tool. 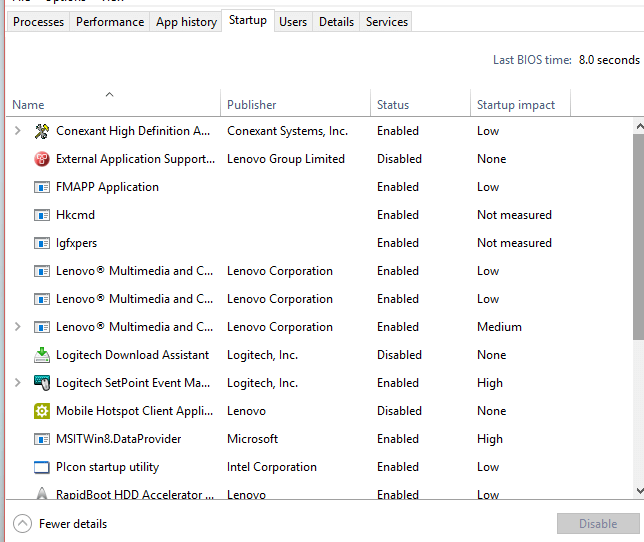 This is the tool that able to make your PC error-free and boost the performance of your computer or laptop with ease. Download this PC scanner and it will fix all types of PC issues like BSOD error, DLL errors, registry issues, slow PC performance and more.